The Viaduct will close, the tunnel will open: What do you want to know about the Highway 99 project? As agencies prepare for this major change in the transportation network, we want to hear from you: What do you want to know about the project and how traffic will move through downtown Seattle? The Alaskan Way Viaduct is expected to close for good in January and the new four-lane Highway 99 tunnel will open a few weeks later. For 65 years, drivers have had a waterfront view of Elliott Bay through downtown Seattle. Soon, motorists will enter the tunnel’s north portal near Harrison Street or the south portal in Sodo and remain underground through downtown. 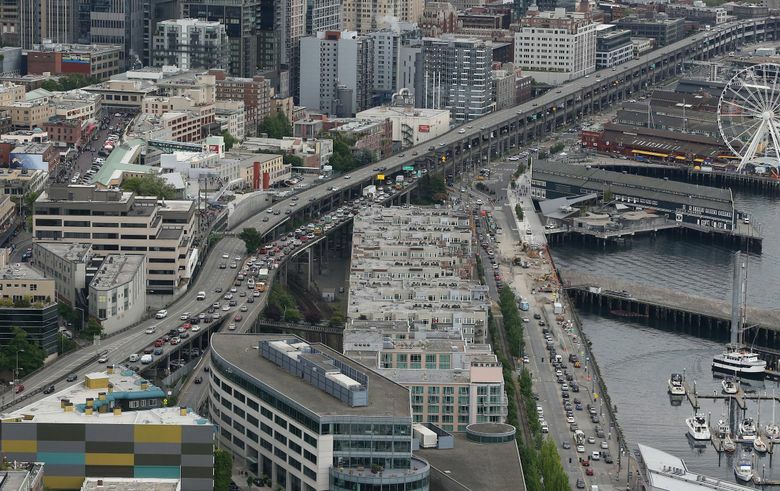 As transportation agencies prepare for this major change in the transportation network, we want to hear from you: What do you want to know about the project and how traffic will move through downtown Seattle? What do you need to know to make smart decisions about your commute? How would you like that information delivered?